Our student’s who competed were 7th grader Hailey Garcia, and 8th graders Team Alyssa Garza & Gisele Garza and Team Victoria Garcia & Emilio Restrepo. 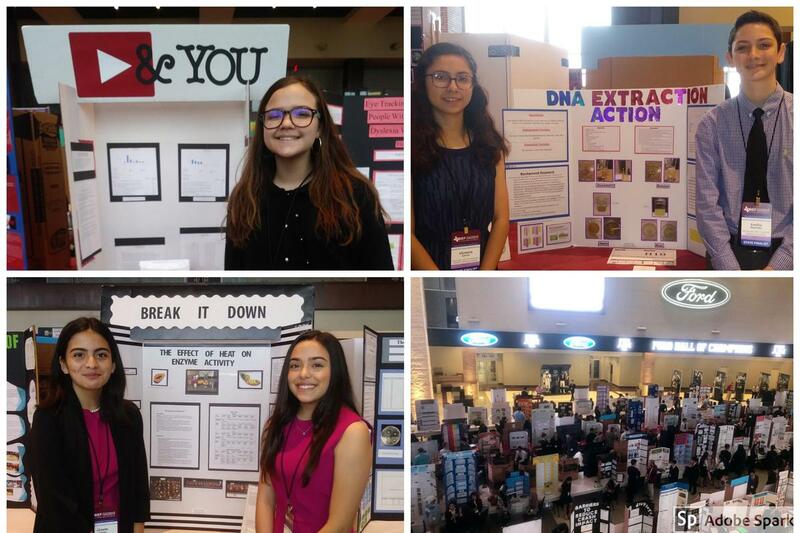 Students from additional McAllen ISD campuses competed as well, including Fossum M.S., Morris M.S, and McAllen High School. 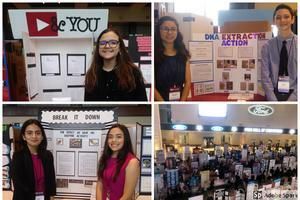 More than 1,300 middle and high school students from Texas presented their projects to judges. Along with competing, the participants toured the beautiful A&M campus and attended a special Night at the Zach extravaganza and dinner. The awards ceremony included a special guest keynote speaker, Alie (Alison Ann) Ward, an American writer, painter, actress, and television and podcast host. She is currently a correspondent for the CBS series Innovation Nation.